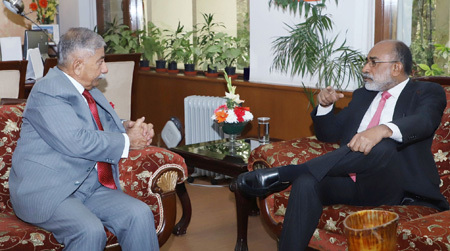 Arunachal Pradesh Governor B D Mishra on Wednesday sought help from the Centre to boost tourism in the State. This was stated in an official press release issued from Raj Bhavan in Itanagar. During his meeting with union minister of state for tourism K J Alphons at New Delhi, the Governor said that the state’s tourism sector can create jobs and generate more revenue if the Centre provides adequate aid. Mishra also sought the Central Government’s assistance to develop places which have tourism potential. He assured Alphons of optimum utilization of funds allotted by the Union Government to build tourism infrastructure in the State. Mishra had recently chaired a meeting of state tourism officials to discuss the status of development projects at Parshuram Kund in Lohit district. The State Government is taking initiatives to develop Parshuram Kund as a major pilgrimage site. Dedicated to sage Parshuram, the site attracts pilgrims from across the nation and Nepal every year, especially during Makar Sankranti, the release added.